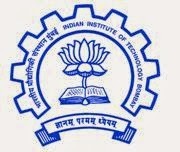 Indian Institute of Technology Bombay has released the notification of IIT Bombay Recruitment 2013 to recruit the qualified and skilled job hunters for Jr. Mechanic at Electrical Maintenance Post. The job hunters may apply through sending the IIT Bombay application form on or before 31/12/2013. Qualification :degree/">Bachelors Degree in appropriate field OR Diploma in Electrical Engg. of three years duration. Knowledge of computer applications.